At SET Training, we pride ourselves on helping young people into the world of work and setting them up with some of the best employers in Scotland. Hear from just a few of our successful apprentices and what they enjoy about working with SET Training. The recruitment process for my apprenticeship was straight forward which made things at the start a lot less stressful. After a day of me sending my CV, I had a response email to arrange a telephone call. I spoke with Jenny on the phone who advised that the call wasn’t an interview it was a formal chat, so she could gain more information about me and to see what I was looking to gain from having an apprenticeship. I was on the phone for around 20 minutes and after the call, I felt as if I had a real opportunity to move forward in the right direction with this agency. A day or so passed and I received an email letting me know I had an interview. I researched the company, spoke with Jenny and I realised that this could be the start of a great career. I took my chance and went along to the interview where I met the Office Manager and one of the service desk Team Leaders, the interview was great, and I felt comfortable from the get-go. A few days after the interview I received an email from Jenny telling me I was successful in the interview and the company offered me a place as an apprentice. I did my induction in Chesterfield as this is where the company’s head office is based. Everyone I met was very welcoming and reassured me that I was going to be a valued member of the team which was good to hear being the ‘new guy’ in the office. Since my induction, I have learned a range of skills and have developed into a more confident individual. My time so far at this company has been great and I have enjoyed every minute of my journey so far. Since I started, I have also been meeting with my assessor who helps me in working towards achieving my diploma. My assessor has made my apprenticeship work enjoyable and easy to understand and work through. The apprenticeship work isn’t work I feel under pressure with as it relates to my job. With my apprenticeship, I gain on the job experience whilst learning at the same time. This is what I wanted to do and I am fully achieving this. I owe many thanks to Jenny and my accessor who have both played a very big part in helping me settle in and continue to enjoy my apprenticeship. I started looking for apprenticeships just before I left school. I got a call back from SET Training. From that point on, the process was so easy. I met up with Jenny and she prepared me for the application process. During the entire process of my application being handed in, she kept me up to date. Once my interview was confirmed, Jenny gave me very good tips as it was one of my first interviews and I really wanted to get it. I can’t complain about the process at all. 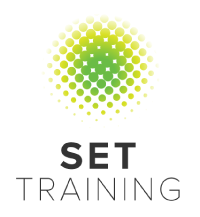 It was so easy, reliable and the SET Training team make sure that you are always up to date. Now I work in a great place where I am learning things that I’m interested in. When I first started my apprenticeship with Synergy Salon Supplies 8 months ago, I had no previous experience and started the job with a completely blank space. I was nervous about starting and had a trial day first, but I really enjoyed the work and got on well with the rest of the team. Every day is different, and I receive a lot of support from the staff I work with. They have never doubted my ability. I previously tried going to college and it didn’t really work for me and so the apprenticeship was the perfect route for me to get on the career ladder. As I progressed, I was given more responsibility and 3 months into my apprenticeship I was on my own and running the website. I was placed in charge of the website and I also had the pleasure of helping to train another new apprentice. I learnt so many new skills from designing, to digital marketing, to running a website. I’ve also gained great knowledge about the products that we sell. I had been looking to get an apprenticeship for a while, but I did not have the confidence that I need to succeed, however, I found the recruitment process with SET Training great and just one day after applying for the job I received a phone call from Chloe at SET Training for a chat about myself and she made me feel completely comfortable. I then spoke with Jenny, who was extremely helpful and lovely and helped he hugely with preparing for my job interview. Jenny had every faith in me from the start which I appreciated. With my apprenticeship, I hope to keep learning, gain more responsibility and further progress my career with Synergy Salon Supplies as I find it a fantastic place to work. I am currently working towards gaining my qualification and my assessor is helping me with this process. My assessor has been extremely helpful and each time he comes in, he restores my confidence in the work that I am doing. Having this apprenticeship has also helped me to come out of my shell more as a person and improved many different aspects of my life, not just in the office. This really has been the perfect role for me and I am excited to see where it takes me in the future as the digital marketing industry is only getting bigger and bigger each year!